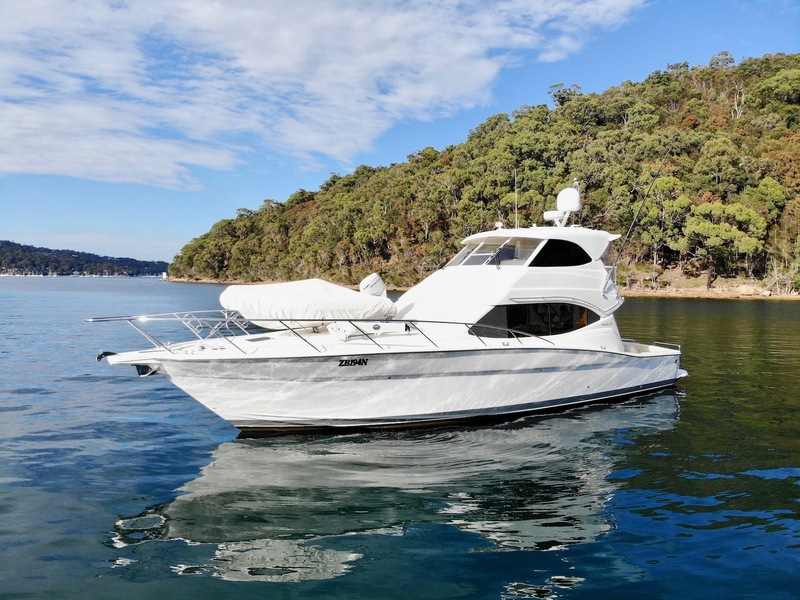 This 500 offshore Convertible is a classic flybridge cruiser. 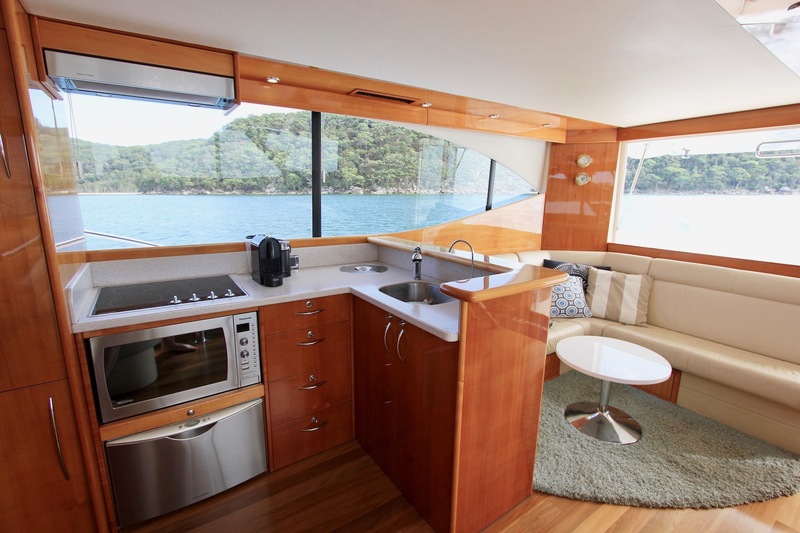 Step onboard the aft platform with stainless rails and through into the large teak laid cockpit, the hopper window pulls you into the large saloon with two lounge areas and entertaining galley, housing a full size fridge/freezer, four burner electric cooktop with microwave and dishwasher below. 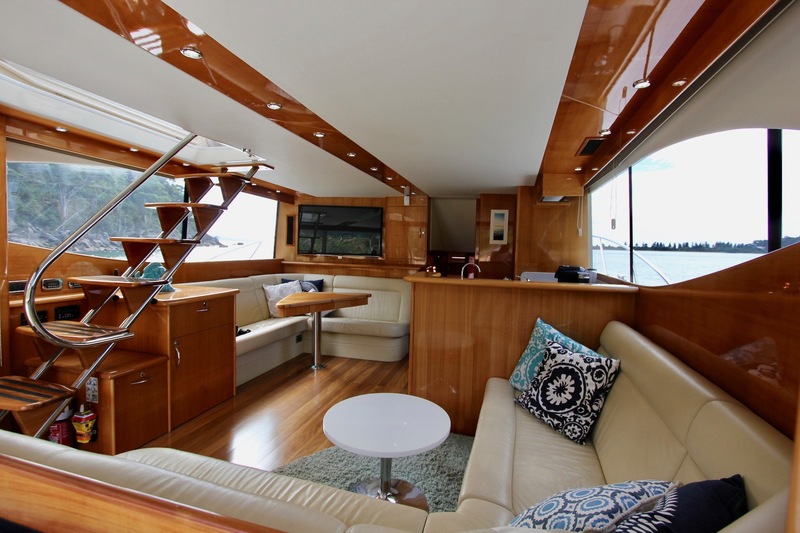 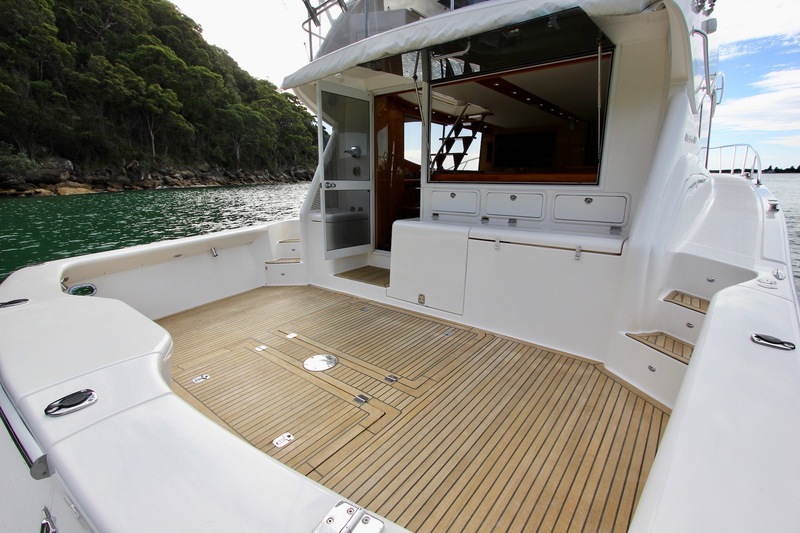 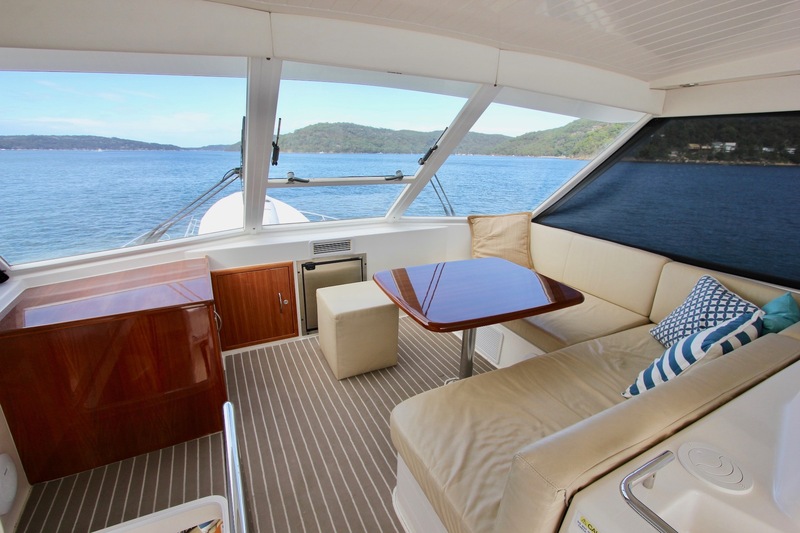 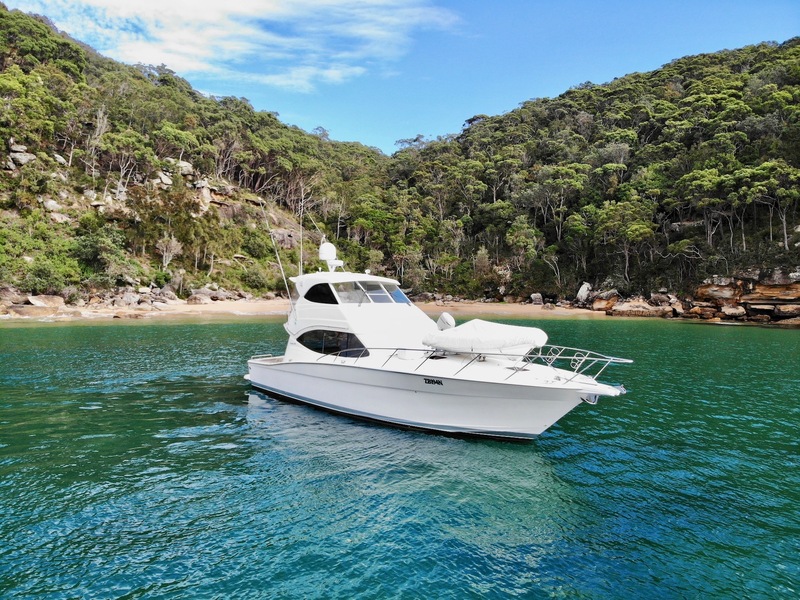 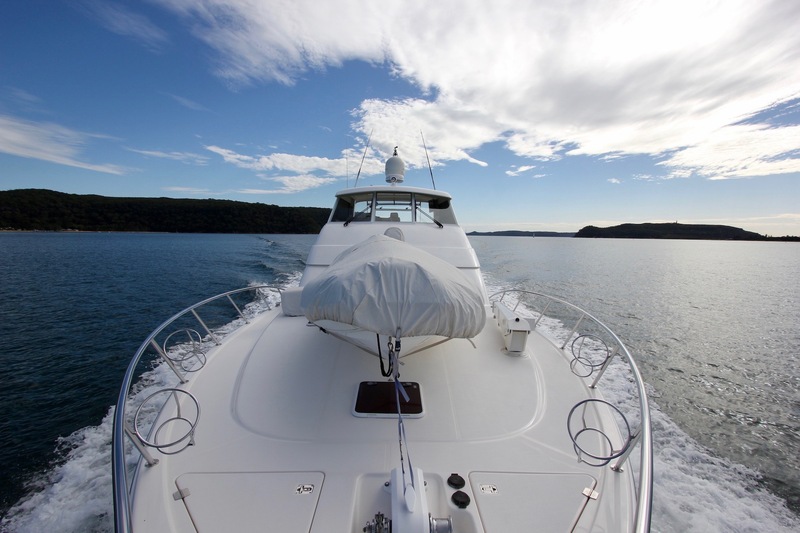 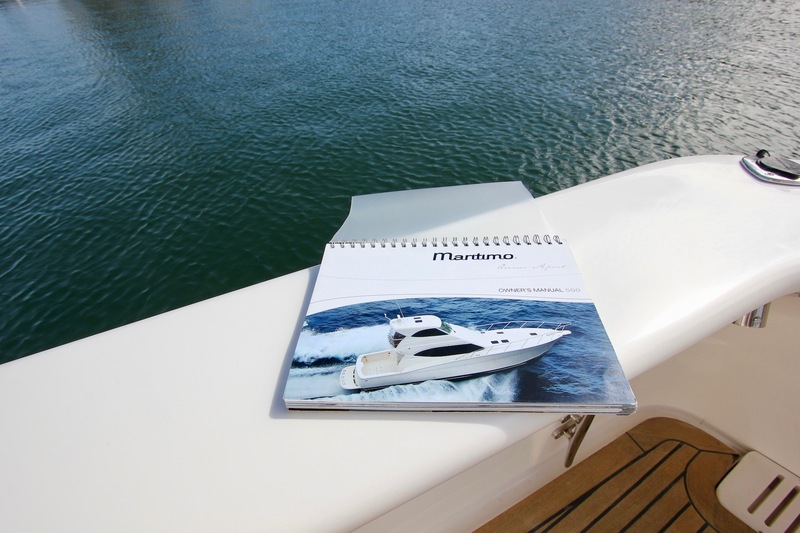 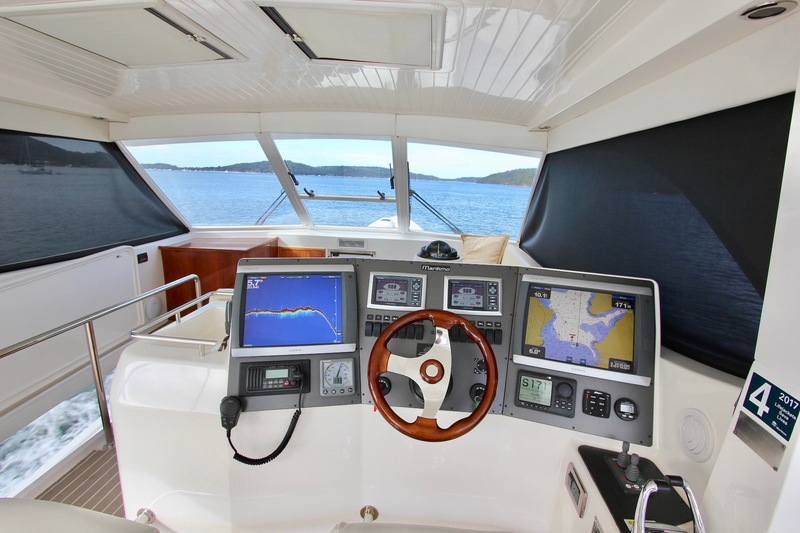 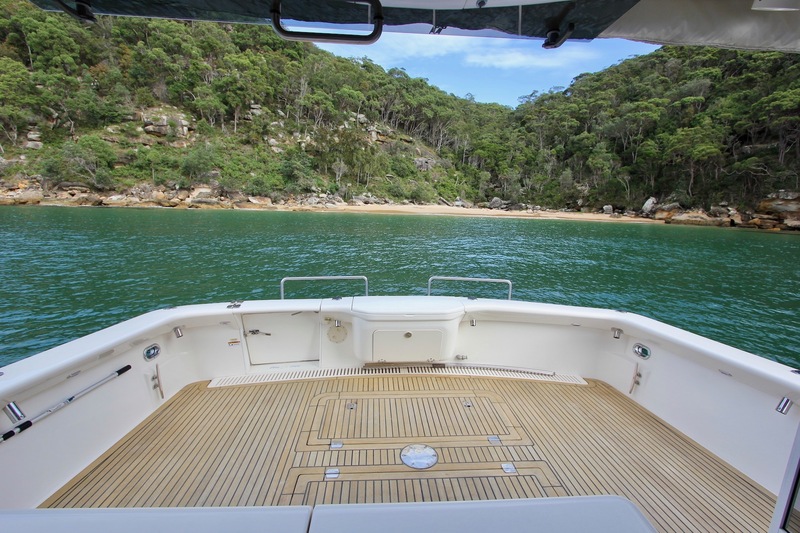 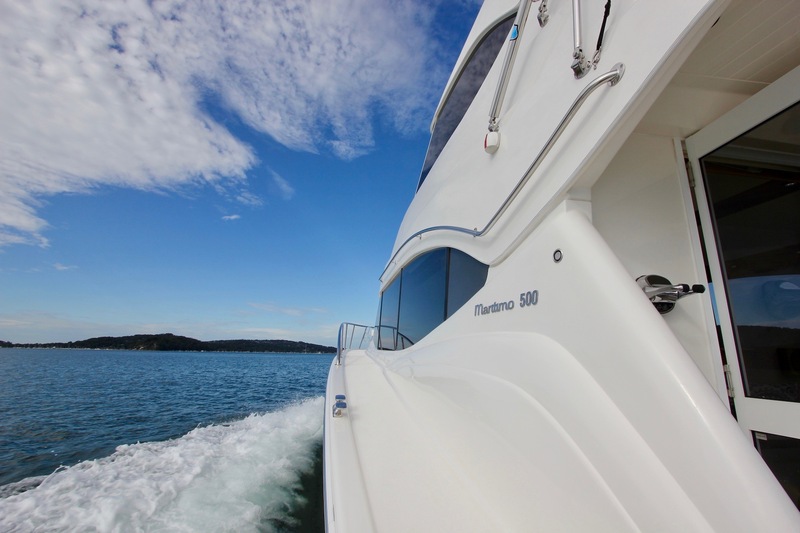 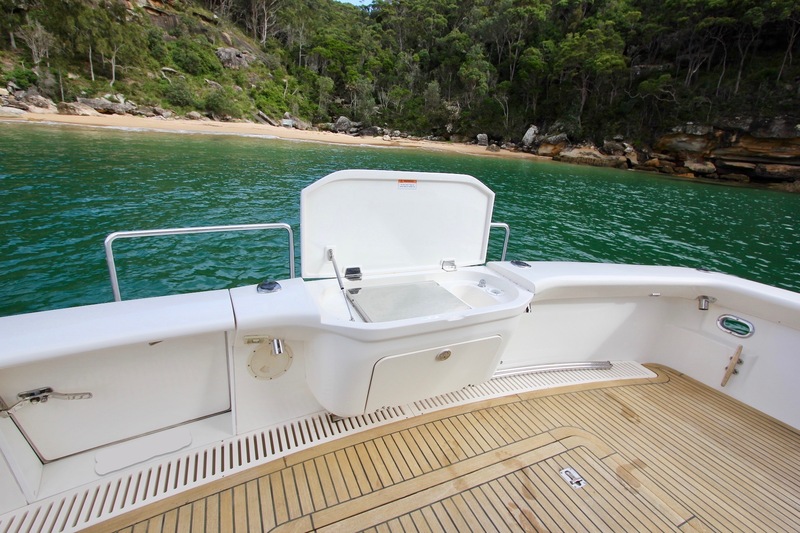 The air conditioned enclosed flybridge is large with a twin seat aft helm overlooking the rear cockpit with an L-Shaped lounge forward to allow room for guests whilst cruising! 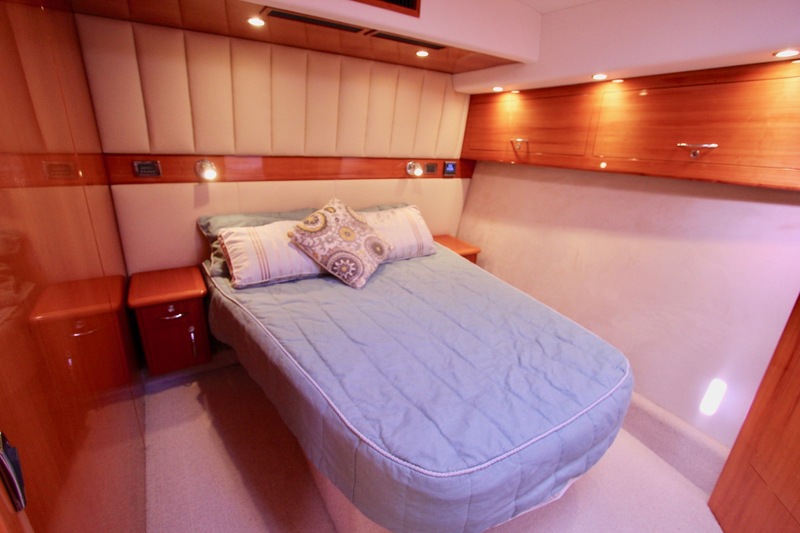 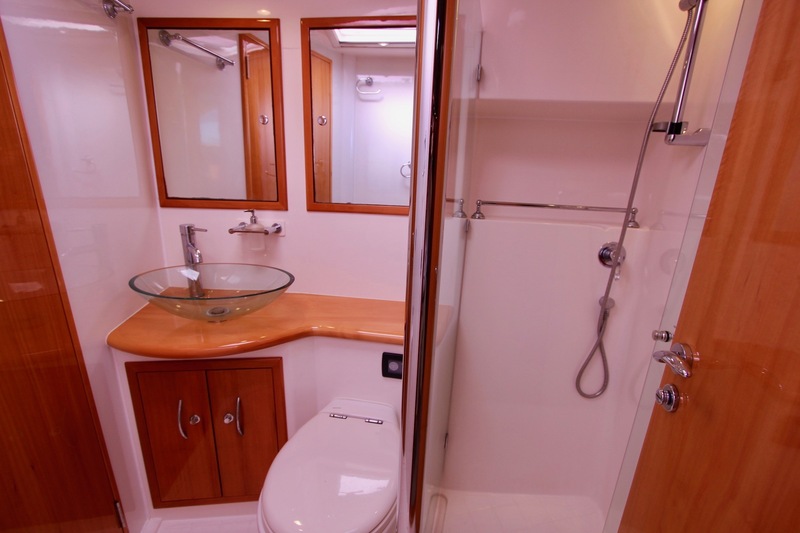 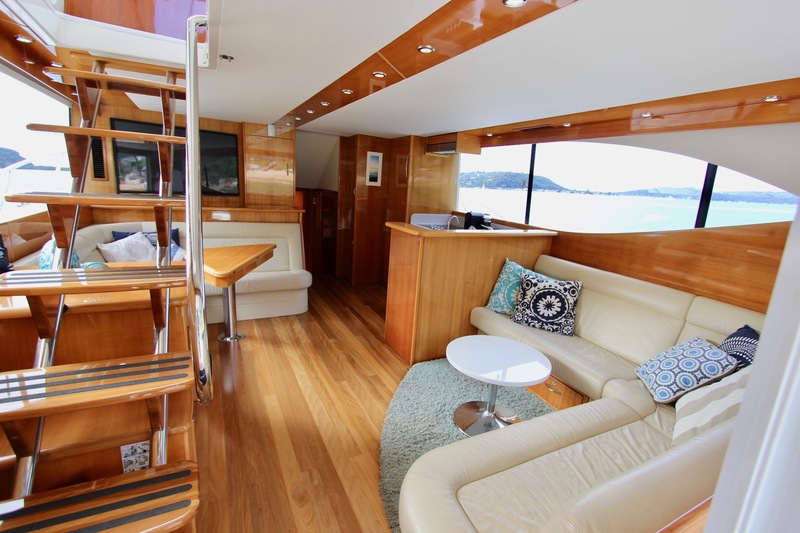 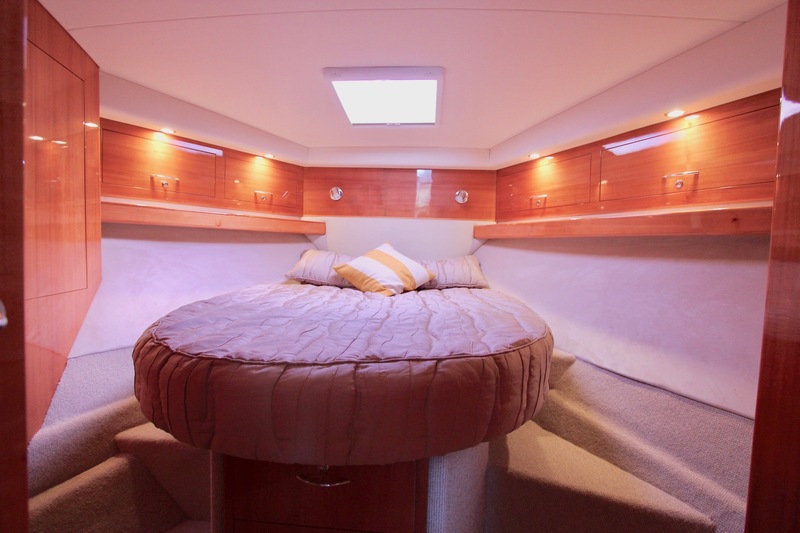 The island VIP bow cabin is large with the master cabin amidships on the port side with an ensuite bathroom. 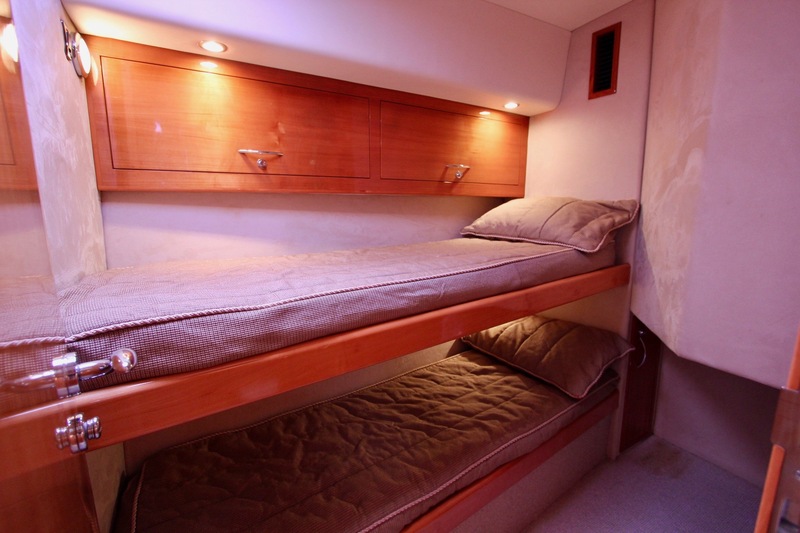 The third cabin has two bunks and houses a washer/dryer. 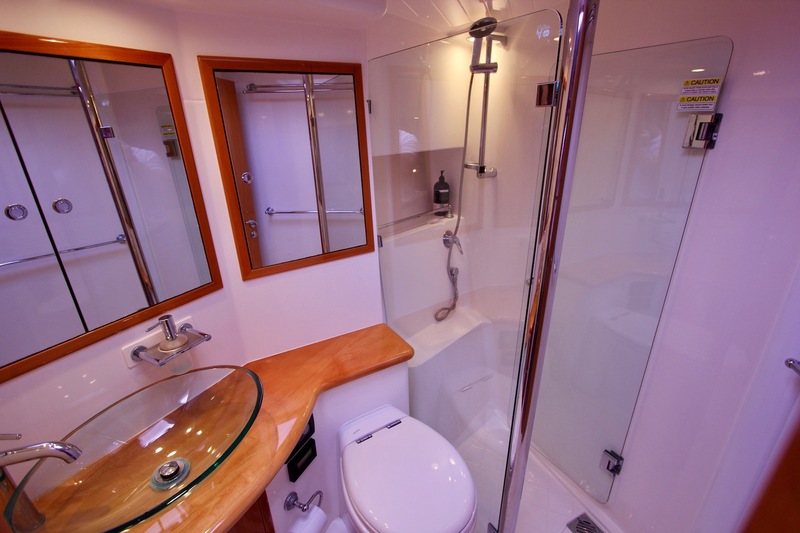 The bunk and VIP cabin share access to the second bathroom, which also acts as the day head. 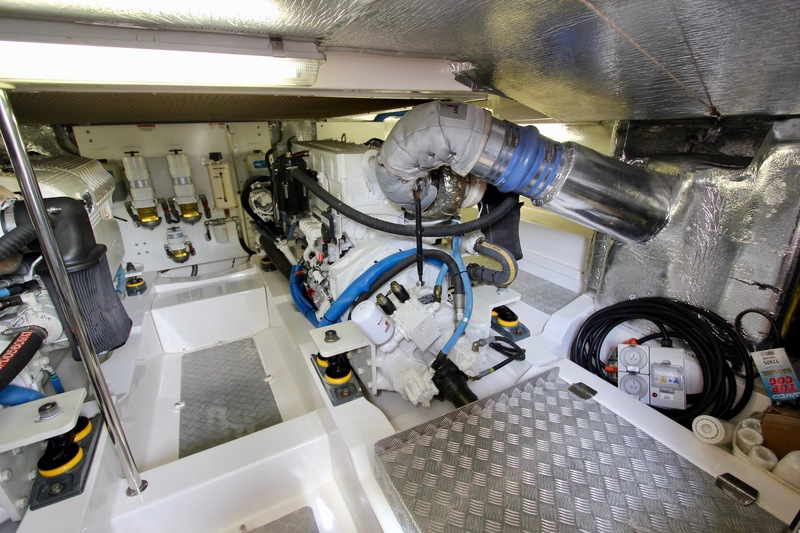 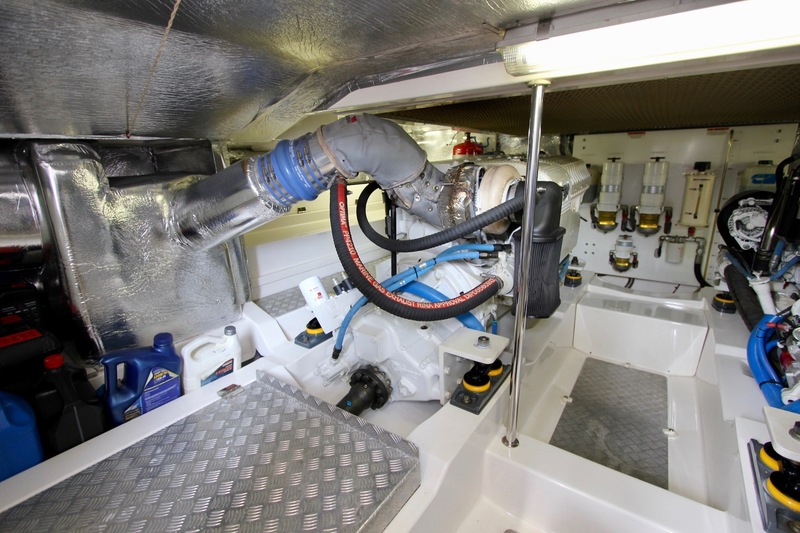 Fitted with Cummins QSM 11 670hp engines with 880 hours and a complete service history including recent service and exterior polish and detail. 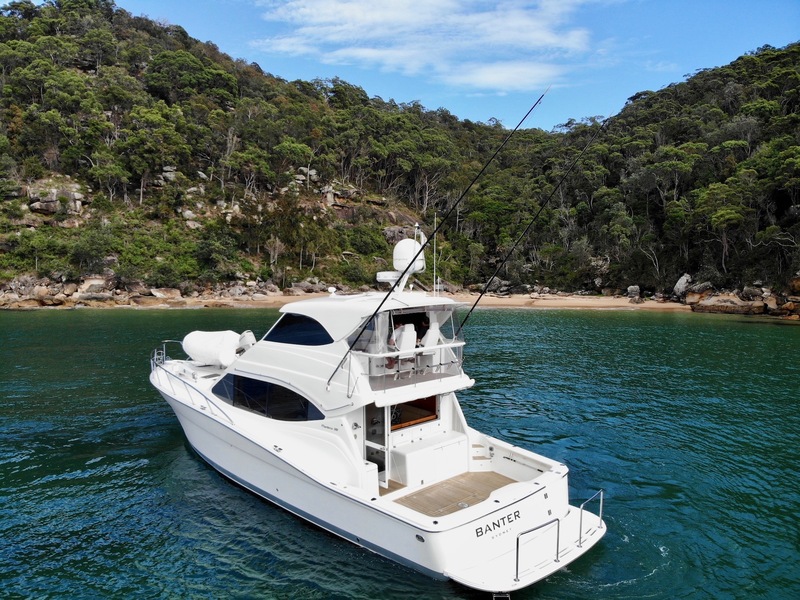 Highly optioned boat including bow and stern thruster with remote, 350kg Davit, Idromar Watermaker, A/C throughout including Flybridge, Plumbed pressure washer, washer/dryer, 80m chain, 12 month old strata glass clears on rear of flybridge, cockpit euro awning, Game Poles and reelax stainless steel floor plate in cockpit to take game chair, Flybridge and Saloon TV with Satelite system, blue underwater lights and a complete Garmin electronics package with screen in master cabin.